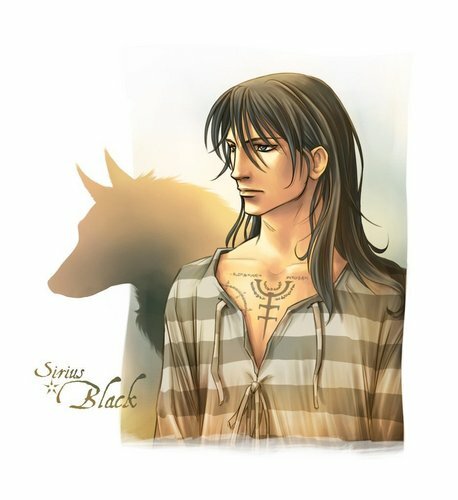 Sirius. . HD Wallpaper and background images in the Сириус Блэк club tagged: sirius black padfoot young sirius. This Сириус Блэк fan art might contain портрет, выстрел в голову, близком расстоянии, макро, крупным планом, кожа, цвет кожи, обнаженные цвета, частичная нагота, подразумеваемые нагота, skintone, обнаженная окраска, подразумеваемая нагота, кожи, оттенок кожи, обнаженная цветные, and подразумеваемых наготы. I agree!! I mean, Sirius was only 38, I think, when he escaped Azkaban - there are plenty of very good-looking 38-yr.-olds out there! Now, if only we could find someone that actually looked like Sirius to play him in the movies... That picture is EPIC. In the Prisoner of Azkaban he was 34 years old. When Sirius died in the Order of The Phoenix he was 36 years old. This picture of Sirius is very good looking.